Responsive Research and Gender-Based Analysis (+) in Socio-Economic Impact and Environmental Assessment. Please join us for an informative discussion and dialogue followed by a question and answer period and networking. Receive information on effective approaches to GBA (+) and guidance on integrating GBA to environmental assessment at the national, provincial and community levels. Gain an understanding of the links between culturally responsive research and better socio-economic, health, and environmental outcomes. Dr. Jacqueline Quinless - Director of Research at Quintessential Research Group, a community-based practice that specializes in environmental issues, health and wellness research, and socio-economic analysis. Jeff (Ganohalidoh) Corntassel - writer, teacher and father from the Tsalagi (Cherokee) Nation and currently Associate Professor at the University of Victoria. Registration details will follow soon. For more information, please contact Laura Aucoin at vancouveripac@gmail.com. In partnership with the BC and Yukon chapter of the Canadian Evaluation Society, IPAC Vancouver held a very successful speed mentoring event on November 27, 2018 at the Roundhouse Community Centre. Federal Champion Gerry Salembier and CES Vice President Eyyub Hajiyev gave opening remarks. The event had 38 registrants and 12 of them were members. There were several repeating participants who also attended the event in June.Nine mentors volunteered their time to share their knowledge and experience. 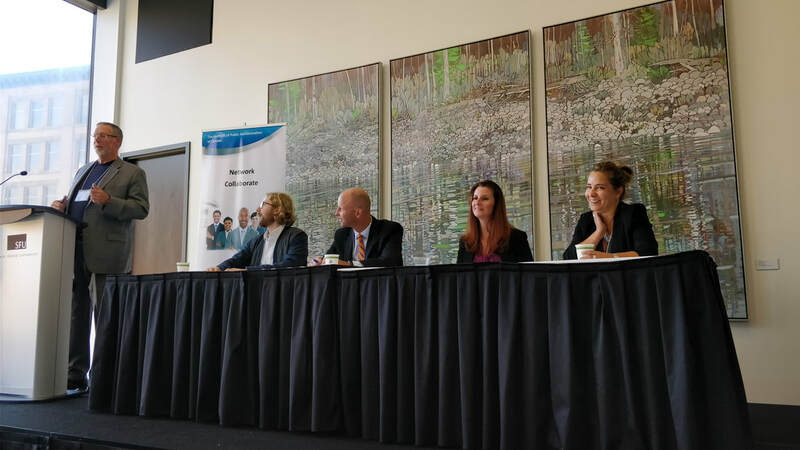 IPAC Vancouver hosted their Annual General Workshop focusing on the ways governments in Canada have merging or diverging approaches to public policy. The work of public administration in Federal, Provincial, Municipal, and Aboriginal governments provides countless opportunities for collaboration on the development of policies to support the aspirations of communities and the implementation of critical infrastructure projects. Collaboration between governments can mobilize resources and improve outcomes desired by communities. Conversely, diverging perspectives among governments on issues of common interest can create barriers to infrastructure and community or regional projects. Competing interests, budgets, visions as well as policy and legislative limitations serve to complicate collaboration and impact projects in every jurisdiction - and, in the end, have the most significant effect on citizens and their communities. The diverse panel included experts in Emergency Management, stakeholder engagement and consultation, project management and First Nations government relations. Steve Brown from the City of Vancouver – Rapid Transit Office shared his perspectives on transit in a dynamic, complex environment. As government changes stay grounded and keep moving forward. Government requires patience, intelligence & tools. Have patience and understanding working with Indigenous communities. It's okay to ask questions - if you don't understand...ask and validate what you heard. Find ways to maintain consistency when working with First Nations with strong communication strategies for continuity. "Be on the right side of history" building positive, collaborative relationships with Indigenous communities towards advancing reconciliation. governing for the benefit of our communities.